Left-handedness has its challenges during human childhood. You can’t use most scissors, coaches have difficulty teaching you how to use a tennis racket, and sitting at usually right-handed desks causes strain on your back. But things were much harder for Jeremy, the incredibly rare lefty snail who couldn’t find love. Now, Jeremy is dead. After winning our hearts with last year’s sad tale, Jeremy was found dead on Wednesday by University of Nottingham scientist Angus Davidson. That story is now over—but not before coming to a heartwarming conclusion: Jeremy died a parent. Jeremy was jokingly named for Jeremy Corbyn, the left wing British politician who happens to like gardening. Snails are hermaphrodites, so as long as Davidson was anthropomorphizing the snail, he told Gizmodo he’d assigned Jeremy he/she pronouns. Jeremy’s genitalia didn’t properly align with right-handed snails, making it hard to study lefty snail genetics or to create offspring. You probably first heard about Jeremy last year when the University of Nottingham called for help finding another lefty for Jeremey to mate with. Twitter answered the calls, and ultimately Davidson received two more lefty snails. But in May, those snails ended up shooting love darts into and mating with one another, leaving Jeremy alone, according to Popular Science (who has been covering this story since the beginning). The story could have ended there. But over the summer, Davidson found Jeremy mating with one of the other snails. 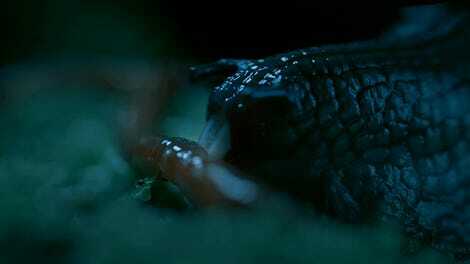 That snail didn’t lay any eggs. More mating (and no eggs) followed...until around two weeks ago. “Jeremy will be the parent of some of those eggs,” said Davidson. Jeremy never got to meet the offspring, as he/she died during hibernation. 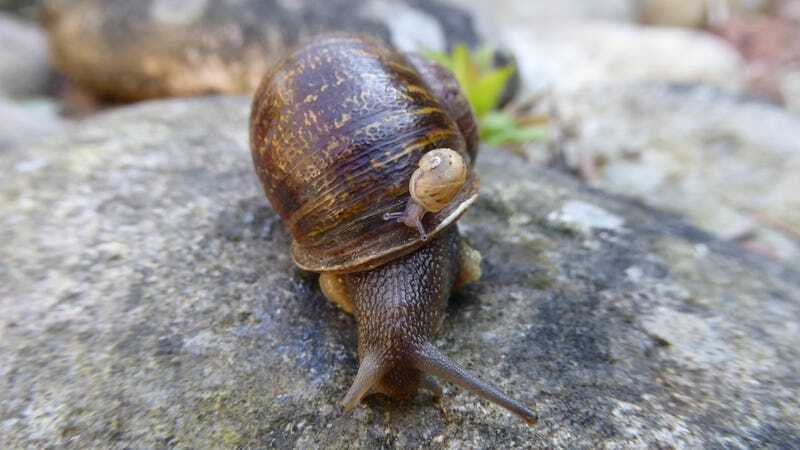 Davidson had planned to freeze (and kill) Jeremy in order to preserve the snail’s DNA last week once the babies hatched to perform genetic testing, but couldn’t bring himself to do it, given the public’s affection for the snail. It will now be a little more difficult to perform DNA analysis, as the genetic material has degraded a bit. But still, we’ll always have Jeremy’s heartwarming tale. Davidson hasn’t gotten as far as planning funeral services yet but I will update the post if and when he does. Rest in peace, Jeremy.